We are excited to announce our new referral rewards program! The greatest compliment we can receive is when a satisfied customer refers our services to their friends and family. Do you have any friends or family that would be interested in having their insurance policies reviewed? Please have them contact our agency at 248-853-0930 or receptionist@alliedinsmgr.com. 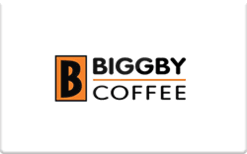 Make sure that they mention your name when they contact us and we will send you a $5 BIGGBY Gift Card for each referral that receives a quote!